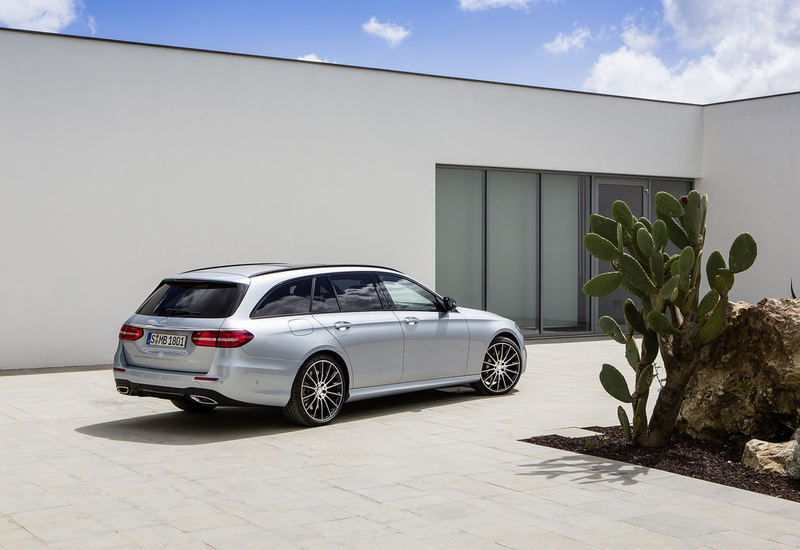 Mercedes has confirmed the new E-Class Estate range will start from £37,935 OTR. That’s for the entry level E 220 d SE while the E 220 d AMG Line will cost from £40,430 OTR. Initially, only the diesel-powered E 220 d will be available, with the six-cylinder E 350 d and petrol 3.0-litre V6 Mercedes-AMG E 43 joining the range later this year. Pricing for the E 350 d and E 43 will be announced when ordering opens in October. The E 220 d is powered by an all-new four-cylinder 2.0-litre turbo-charged engine, which produces 194 hp and 400 Nm mated to a 9G-Tronic automatic gearbox, as standard. It offers a combined fuel consumption of 67.3 mpg and CO2 levels from 109 g/km, while 0-62 mph takes 7.7 seconds. As standard, SE models come with Garmin Map Pilot navigation system; Agility Control suspension; Easy-Pack automatic powered tail gate; Parking Pilot including Parktronic and reversing camera; chrome roof rails; 64-colour selectable LED interior lighting; Keyless-Go starting function; heated front seats; DAB radio and 17-inch five-spoke alloys. For an extra £2,495, AMG Line adds AMG exterior styling with 19-inch alloy wheels in titanium grey; upper dashboard finished in Artico leather; black ash wood trim; brushed stainless steel AMG sports pedals with black rubber studs; and a three-spoke AMG steering wheel wrapped in Nappa leather. Premium and Premium Plus packages are also available. The Premium pack (£2,795) includes Keyless-Go Comfort package; Memory package; and a panoramic glass sunroof. For an additional £1,100, Premium Plus adds the Burmester surround sound system with 13 speakers and a Multibeam LED Intelligent Light System. Driver assistance systems include a Lane Tracking Package (£595) that adds Passive Blind Spot Assist and Active Lane Keeping Assist and the ‘more comprehensive’ Driving Assistance Plus Package. The Driving Assistance Plus package costs £1,695, and includes Drive Pilot, which combines three assistance systems; Steering Pilot, Distance Pilot Distronic, and Speed Limit Pilot. Steering Pilot detects road markings and actively assists the driver by one-sided braking, guiding the car to stay within its lane. Distance Pilot Distronic uses radars to maintain a set distance from the car in front, while Speed Limit Pilot detects a change in speed limit and automatically alters the car’s speed without intervention from the driver. Active Brake Assist with cross-traffic function, Evasive Steering Assist, and Pre-Safe Impulse Side are also included in the Driving Assistance Plus package. Comand Online is available for £1,495 and increases the standard 8.4-inch navigation screen to 12.3 inches. Customers can opt for the 12.3-inch cockpit display – creating a widescreen effect inside the cabin for an extra £495. 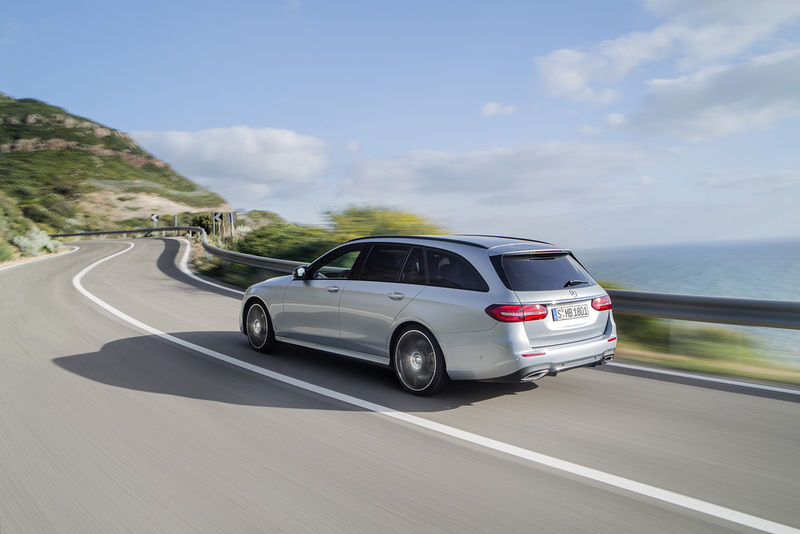 Mercedes also confirmed the new 2.0-litre engine has been added to the E-Class Saloon line-up, with an output of 150 hp - it emits 102 g/km of CO2 and delivers up to 72.4 mpg on the combined cycle.